1997-2004 C5 Corvette Radiator Water / Coolant Tank Cover WITH CAP COVERS. Polished stainless steel finish. 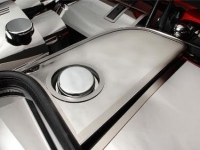 Dress up your C5 with our Polished Stainless Steel Corvette Water / Coolant Tank Cover WITH CAP COVERS. Designed to fit all 1997-2004 C5 & Z06 Corvettes over the water tank and add a clean stylish look to your Corvette engine bay. 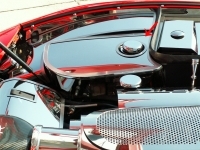 Log In To See Pricing 1997-2004 Corvette Polished Fuse/Battery Box Cover. 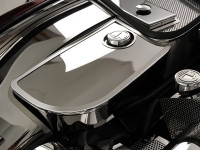 Polished stainless steel finish.